The yearbook staff at Twin Rivers High School in Broseley, Missouri, capped off the current school year with a treat – several of them in fact, inside a new addition to their yearbook room. In April at the JEA/NSPA Convention in Seattle, Twin Rivers adviser Sarah Grisham was one of two winners in a drawing for a mini fridge at the Walsworth Yearbooks booth. 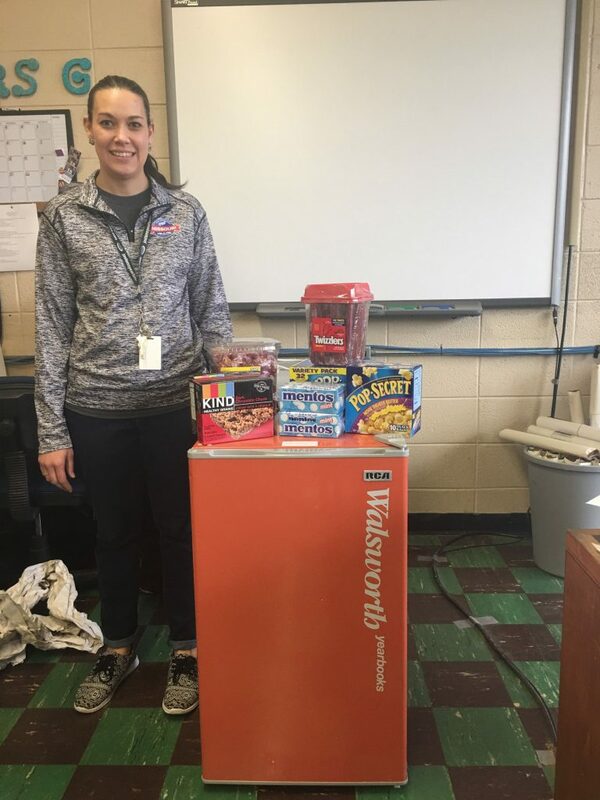 Walsworth rep Alyssa Moses recently made it out to Twin Rivers to deliver the new fridge, filled with snacks like soda, Gatorade, Pop Tarts, popcorn, candy and much more. Grisham took time for a photo with the new fridge, as seen above. Congrats and enjoy, guys!